#GetKind With Us At Sci-Fi Valley Con! What’s better than going to a convention? Going to two conventions, of course! The upcoming weekend of Friday, June 8 through Sunday, June 10 is a busy one for Random Acts. Not only are we headed to Pittsburgh, PA for Creation Entertainment’s Official Supernatural Convention, but we’ll also be attending Sci-Fi Valley Con in Altoona, PA.
Random Acts Regional Representative Sara Dmytryshak will be hanging out at the Blair County Convention Center for the whole Sci-Fi Valley weekend, and she’s hoping to see you there! For anyone not familiar with Sci-Fi Valley Con, it’s a fun-filled event hosting actors, voice artists, directors, and writers from dozens of different fandoms. Guests this year include favorites from shows like Supernatural, Buffy, X-Files, and Invader Zim. 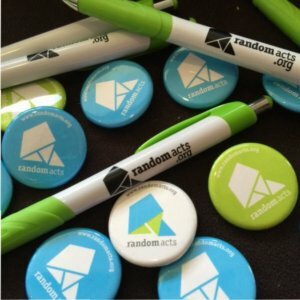 Will you be teaming up with a local non-profit at Sci-Fi Valley Con? What if I’m not attending Sci-Fi Valley Con? That’s not a problem — you can still #GetKind wherever you are! 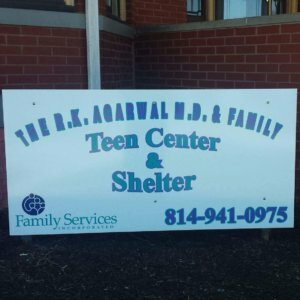 If you’re able to, you could consider making an online donation to the RK Agarwal MD & Family Teen Center & Shelter. You could also honor the work they do by supporting a similar shelter in your local area, whether by donating or giving up your time to volunteer. Whatever you decide to do, we’d love to hear about it! Whether you’ll be at Sci-Fi Valley Con or watching from home, don’t forget to follow Sara on Twitter as well as the main Random Acts account for all the latest news from the convention! We hope to see you there!